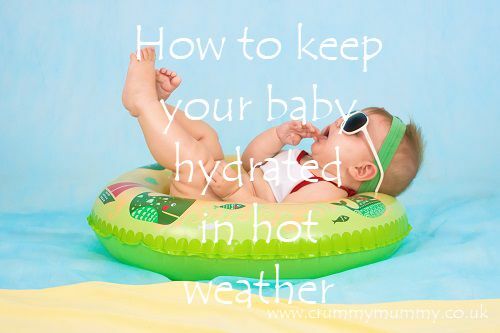 How to keep your baby hydrated in hot weather & win one of 4 glittery Doidy Cups! Do babies need water as well as milk when it’s hot? Should you boil it first? And do a formula fed baby’s needs differ from those of a breastfed baby? 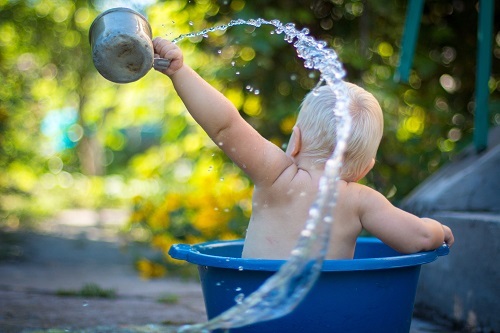 When the weather hots up making sure your baby is hydrated can be a constant source of worry, and it can be hard to know how much water to offer them, if at all. Despite being 16 months old and on three meals a day I’ve found myself breastfeeding the littlest one more over the last few weeks than I did six months ago, and I know it’s because it’s hot and she’s thirsty. 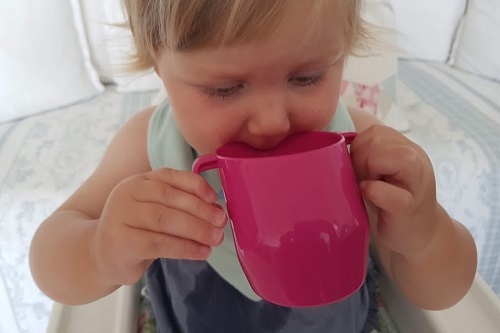 As the heatwave continues I asked the experts at Doidy Cup – the makers of that slanted baby cup – for the lowdown on how to keep your baby hydrated in hot weather – and we’ve teamed up with them to offer you the chance to win one of 4 glittery Doidy Cups! 1. Check they’re producing lots of wet nappies. “If your baby reduces the number of wet nappies, has particularly strong urine or seems very tired and lethargic, it may be worthwhile ensuring they are getting plenty of fluid from their usual milk or additional water,” says Charlotte, who is also the founder of baby and child healthcare company Little Foodie. 3. 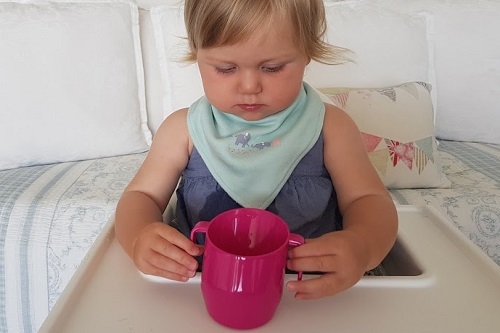 Make sure all drinks are offered from an open or free flowing cup by around 12 months of age (here’s our littlest one with hers). This is to prevent premature tooth decay, poor feeding techniques and delayed speech development and encourages good oral movement and helps to develop chewing skills through encouraging use of the jaw, tongue and mouth muscles. 4. 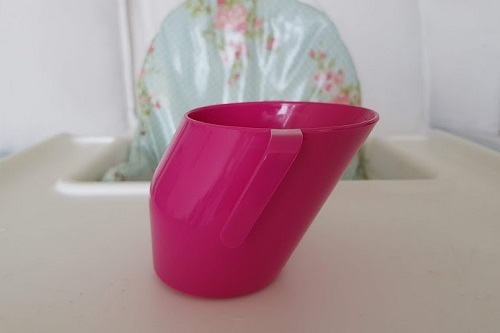 Offer a little water at mealtimes during the introduction of solids to help baby get used to drinking from an open cup. 5. Stay vigilant and visit your GP if you have any concerns. If you’ve got a little one feeling the heat this summer we’ve got four Doidy Cups to give away! 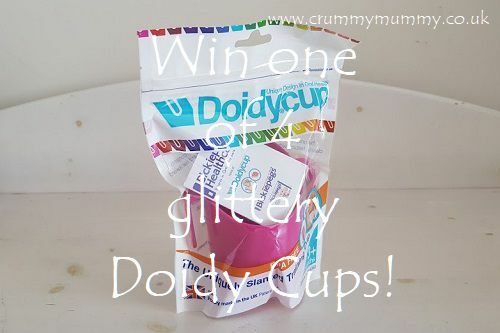 Win one of 4 glittery Doidy Cups! The Doidy Cup has been endorsed by health professionals including doctors, dentists, midwives and health visitors for almost 70 years. It helps to teach an infant to drink from the rim of an open cup rather than from a spout or teated bottle. 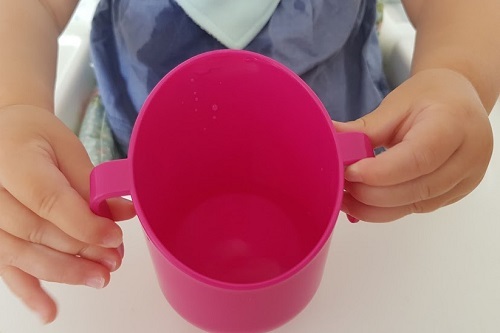 With small handles on either side of the cup it has been scientifically designed with a unique slant that allows your little one to see the level of the liquid in the cup as they tilt to drink. And we’ve got four Doidy Cups worth £3.80 each – two in azure blue pearl and two in purple glitter – to give away to four lucky readers! All you have to do to be in with the chance of winning one of the cups is comment on this blog post saying who the cup would be for, visit me on Facebook, follow me on Twitter, visit Doidy Cup on Facebook or follow Doidy Cup on Twitter via the Rafflecopter form below. The competition runs until midnight on Sunday July 15, 2018 and is open to UK residents only. Terms and conditions apply. Do you have a little one feeling the heat this summer? How are you keeping cool? I’d love to hear your hints and tips! We were sent a Doidy Cup free of charge for the purpose of this post. As always all opinions are my own and based on my own honest experience. It would be for my little niece. My little girl who is 10 months old, and loving trying to feed and give drinks to herself! I would love to win for my little girl!! For my bump! My little boy adored his, so would love to have one for his sister too, due end of September!